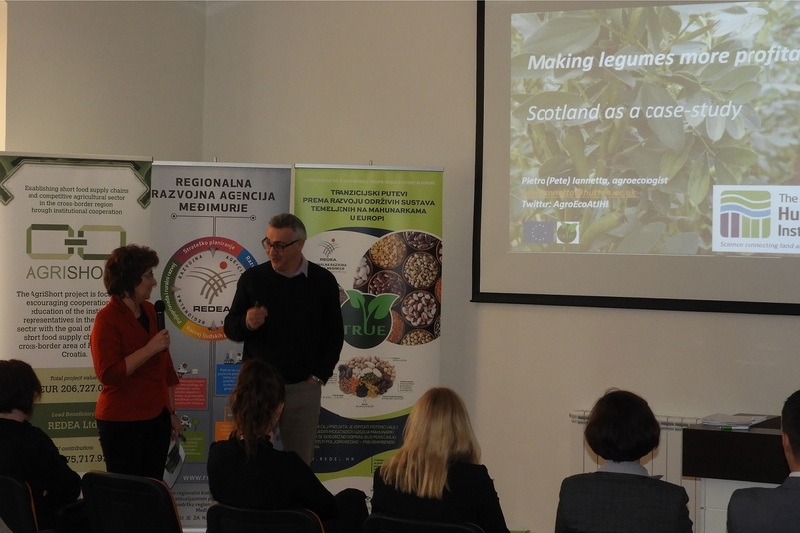 REDEA Ltd. held her third annual agricultural conference "Knowledge Management in Agriculture" as part of the TRUE project funded by the European Union’s Horizon 2020 research and innovation Programme. 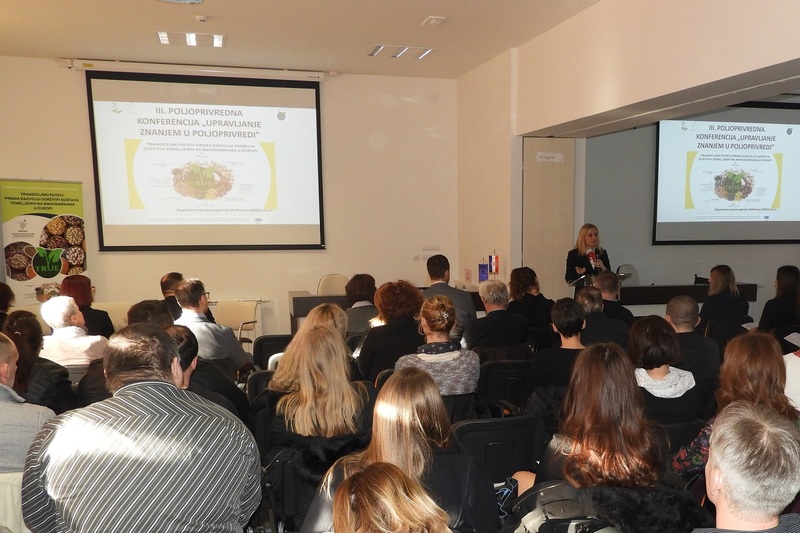 The conference took place on 26th of January 2018 at Technology - innovation center Međimurje. More than 90 participants attended the conference such as representatives of the Ministry of Agriculture, County departments, institutions, agricultural producers and farmers. The conference highlighted the importance of legumes in promotion of sustainable food production and food safety, both for human consumption and forage legumes for livestock. Croatian Member of the European Parliament, Marijana Petir during the welcome speech, drew attention on deficient production of proteins for livestock in Europe, and also said that we do not have a strategy for supply security unlike China which has become the world's largest importer of soybeans. In the first part of the conference, panel discussion was organized on the topic: How to create long-term sustainable food production in Croatia? Panelists where Ms. Marijana Petir, Croatian member in the European Parliament, Mr. Milorad Šubić, manager of agricultural extension services in Međimurje County, Ms. Andrea Laklija Head of the Investment Support in Agriculture, Ms. Silvija Kolar – Fodor, Head of association „Biovrt - in harmony with nature“ and Klaudija Carović-Stanko, Head of Department of Seed Science and Technology. 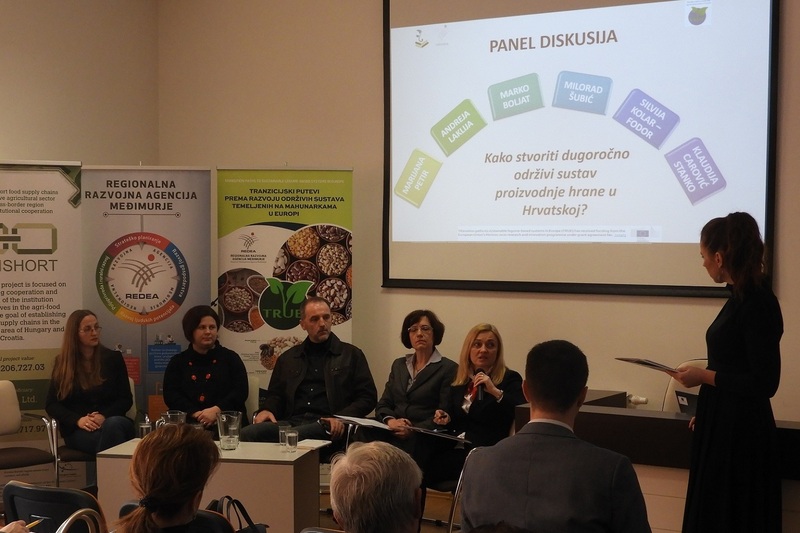 During the panel discussion panelist discussed about the potential and opportunities of creating a sustainable agri - food sector in Croatia, and which are the main barriers which hinder its development. In the second part of the conference short presentations were held. Lecture about „New model of crediting farmers and other news about Rural Development Programme of the Republic of Croatia“ provoked a lot of questions among the participants. 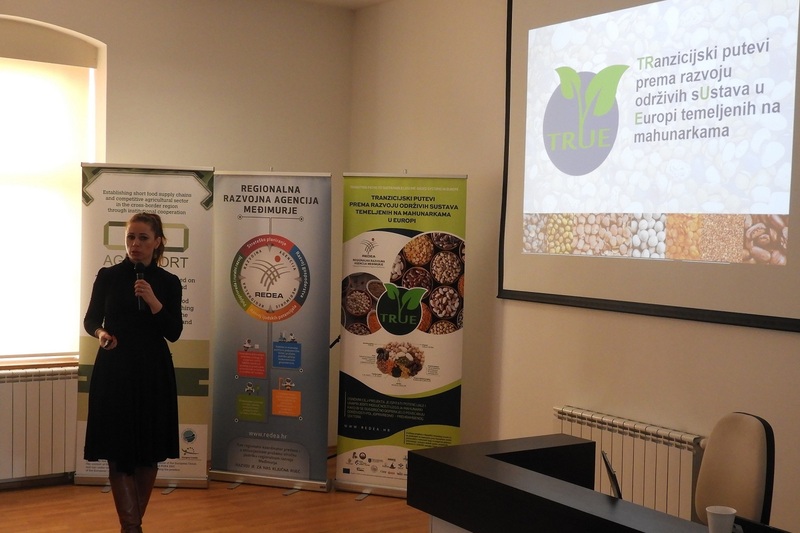 During the second part of the conference there were other interesting lectures about protein based crops and their potentials to develop sustainable agri-food system. Annual Agricultural Conference „Knowledge management in agriculture” was organized as a meeting point for representatives in agricultural and food processing industry, relevant government and local institutions and also scientific community in order to enhance the dialogue, but also to promote new ideas, concepts and proposals that would result in more competitive knowledge based agriculture.